Blockchain-oriented firms have started to tackle the twin problems of website security and communication speeds. Thanks to its decentralized and heavily encrypted design, blockchain is ideally suited for protection. Alongside the evolution of internet infrastructure and website development, users have stopped concerning themselves simply with access. Instead of being able to visit a website or online service, users can now compare several applicable sites to find the one that offers the best speed and performance. However, the centralized nature of most web server hosting companies and data centers means that, until now, speeds have had an upper limit. Blockchain could potentially disrupt the existing model while offering some truly powerful benefits that could make it a go-to solution for web architecture in the future. While the technology has been making the rounds in several industries, blockchain’s underlying infrastructure could be the answer to current bottlenecks. Because of its decentralized nature and how it utilizes spare capacity, new blockchain projects could start solving one of the biggest issues the internet has: today's bandwidth limitations. Several companies have been struggling to find a way to solve one of the biggest issues related to bandwidth. Due to the fact that it must be paid for in advance, even when not used to full capacity, how can companies manage shifting web traffic to avoid overpaying for bandwidth? Some companies have started working on what they call networking as a service, which offers cloud computing space and networking capacity incrementally, the same way you could purchase server space online. Companies such as PacNet have begun developing cloud solutions to resolve this problem, which accounts for cost issues but ignores the difficulty associated with bandwidth capacity and website acceleration. NaaS has potential but remains constrained by the centralized nature of the current web model. NaaS must still use cloud servers based in existing data centers, which also face security concerns from potential web-based attacks. More importantly, they still are focused on price. The main issue with the current model is that depending on the user’s location, some websites suffer greatly in terms of speed and performance, leading to business losses that may be difficult to recoup. Additionally, the current model of centralized DNS servers with single-location encryption keys and security has proved time and time again to be incredibly unsafe. DDoS attacks remain a major threat for even the largest and theoretically most secured websites. Major services like PayPal, Twitter, and Spotify have all experienced embarrassing public stoppages in operations due to DDoS incidents. Even security website KrebsOnSecurity suffered the largest DDoS attack in history. The problem lies in how current systems keep access keys on single servers that are easy to hack. Recently, blockchain-oriented firms have started to tackle the twin problems of website security and communication speeds. Thanks to its decentralized and heavily encrypted design, blockchain is ideally suited for protection. The way the chain is created along with the mechanism for verifying transactions mean that hacking a public chain such as Ethereum or Bitcoin is still near impossible. More important, because information is stored across a decentralized network, a successful hacker would need to break every single node in the blockchain simultaneously. In a blockchain such as Ethereum's, which has 34,051 nodes and a hash rate of 55 trillion hashes per second, an attack remains a pipe dream at best. Already, companies have taken DDoS and website protection even further. Gladius, a blockchain startup working to create a web traffic acceleration and protection system, is developing a platform that lets anyone with spare bandwidth on their computer join a “protection pool.” This pool optimizes and accelerates filtered web traffic while creating a powerful defense system against common hacking attacks. The twist is that users have an incentive to improve the pools they are participating in thanks to a marketplace ecosystem. Website owners can bid on the most effective networks, and the computers in the pool can earn Gladius Tokens in return. The benefits are threefold. First, blockchain utilization in fighting DDoS will translate into safer security. Since the network has no one single point of failure, the attackers have to shut down thousands of separate components. Second, it’ll be much cheaper by cutting down the centralized middleman, as you can only rent what you actually need to protect yourself. Last, individuals could participate in a worldwide-like-CDN, empowering and boosting speed of websites by caching content in a distributed CDN. Indeed, the future of cybersecurity could very well be within the blockchain. Other companies have also started developing DDoS-safe directories and browsers. The strategy is to effectively utilize the blockchain to prevent DDoS and other similar attacks. 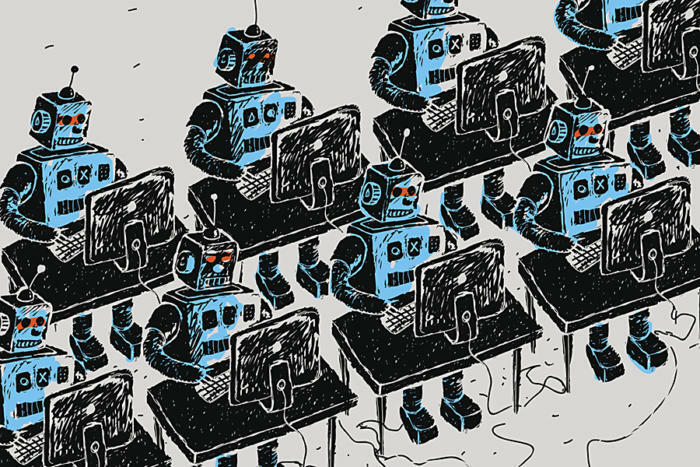 The system’s decentralized nature makes it incredibly unlikely that a hacker or even an advanced bot could gather the required processing power to crash an entire network of nodes. While the specifics are only now coming to light, it’s clear the blockchain is the real next frontier for web and data security. The technology is built for safety and encryption, and its decentralized nature makes it incredibly difficult to overwhelm with existing attack tactics. More important, it enables companies to offer creative incentives and utilize the power of massive networks to counter hackers and attacks that are growing increasingly sophisticated. As companies find ways to take advantage of these features, they’ll be able to create a more secure and faster web environment that could completely disrupt existing models and force larger companies to reassess how they build their security paradigms.